What is Brazilian Embroidery EdMar Threads? 100% Rayon Thread adds a satiny, lustrous finish to every stitchery project. It's washable, colorfast and retains its luster after washing. 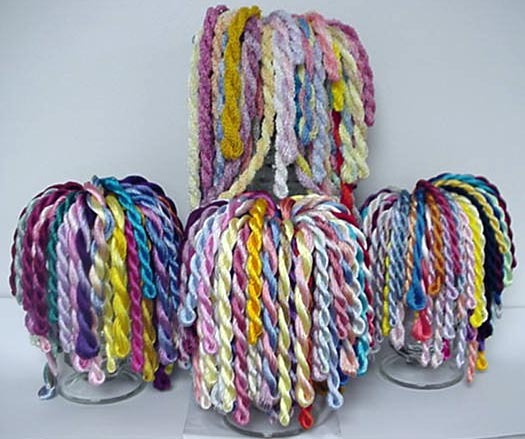 Ideal for any stitching project, including other Embroidery projects, Cross Stitch, Needlepoint, Smocking and Tassels. Use it to compliment Ribbon Embroidery, Hardanger and wearable stitchery. We have EVERY EdMar color and weight available. Fine 2-Ply 21.5 yards (20 meters) per skein. Cut: 20 lengths to stitch with per skein. A very fine thread used for the fine growth and dainty flowers. It is a wonderful thread for adding embellishments to fine garments. Medium 3-Ply 16 yards (15 meters) per skein. Cut: 15 lengths to stitch with per skein. 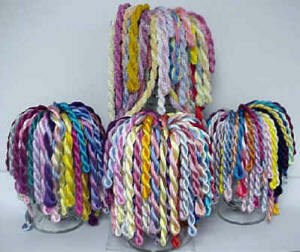 Frost is a medium weight, 2 ply thread that has a tighter twist. This twist gives the stitches a more defined look. 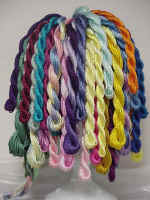 Iris: Medium 2-Ply 16 yards (15 meters) per skein. Cut: 16 lengths to stitch with per skein. Iris EdMar thread is wonderful for all kinds of needlework. In Brazilian embroidery, many use Iris for making leaves and daintier flowers. Very Heavy 6-Ply 10.5 yards (10 meters) per skein. 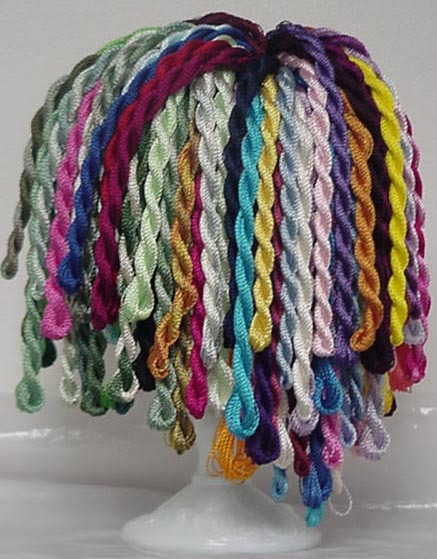 Cut: 10 lengths to stitch with per skein. 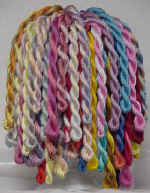 Cut - 21 lengths to stitch with per skein. 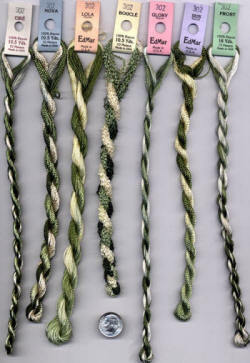 Cut: 10 lengths to stitch with p er skein. Cire' is pronounced See-Ray. ( I say Sir Ray) It is a heavy 3 ply thread. The twists in this thread is slightly looser than Lola. This gives a satiny finish to your stitching. Cire' is not currently manufactured in all colors. 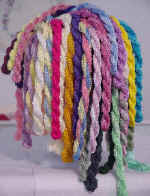 Boucle' : Knotted 4-Ply 10.5 yards (10 meters) per skein. Cut:10 lengths to stitch with per skein.